I probably use my Stabilo 68 point markers more than anything else when it comes to regular doodling. The difference between the 68 point and the 88 point are the tips. The 68 point is a larger tip which works great for coloring large areas. The 88 point tip is very fine and great for detailed lines and filling in very small coloring areas. Below are examples of both. What I love most about these markers (besides the price point) are the colors! I love the color range and how vibrant the colors look on paper. 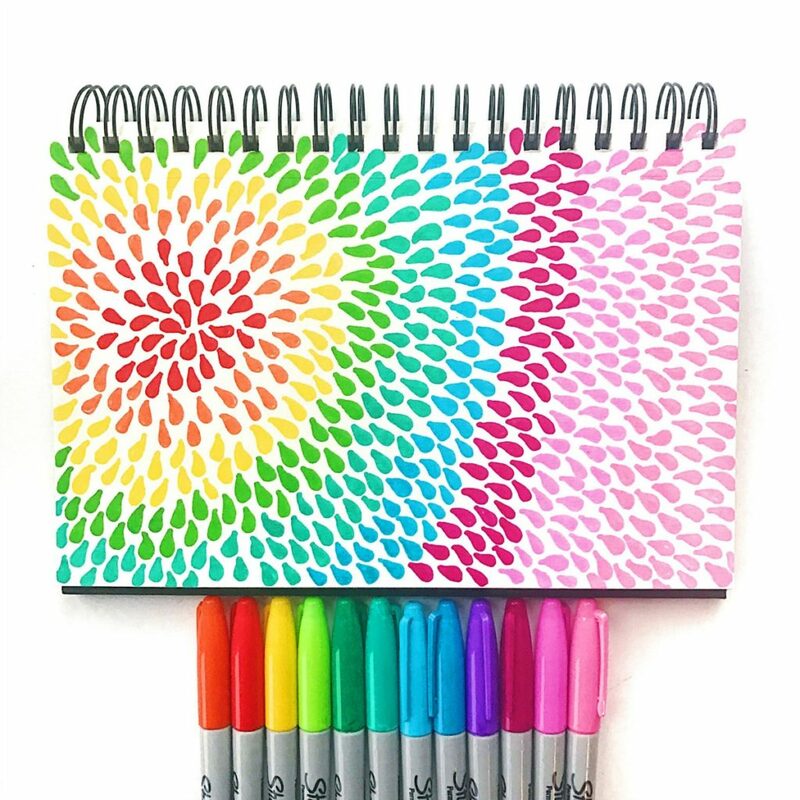 If I had to choose just one set of markers to recommend (especially for beginner doodlers), the Stabilo 68 point pens would be my go-to recommendation. While Tombow markers are newer to my collection, they have quickly become a fast favorite because of their versatility. Not only do I love the dual tip, one brush end and the other a fine tip, I am obsessed with the fact that you can turn these pens into watercolors. 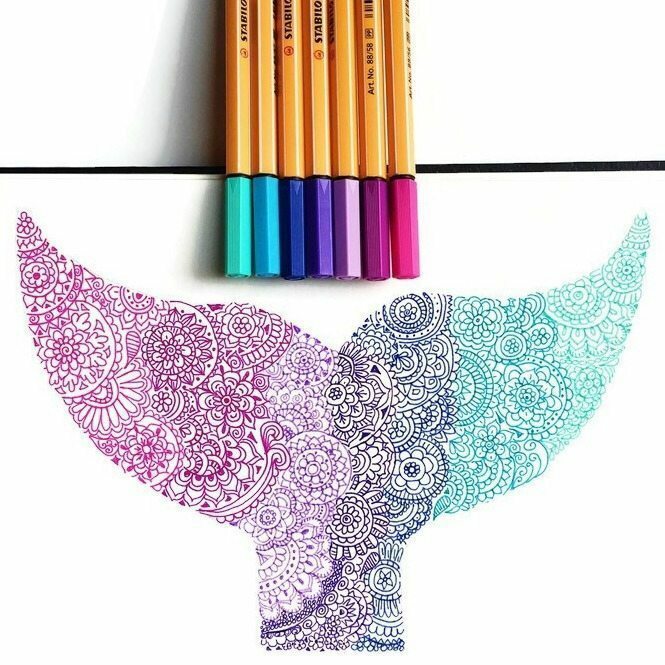 You can also beautifully blend the colors to create ombre effects and more. There are a ton of YouTub videos on all of the techniques possible with these markers. While I have the full 96 colors set, you can test the waters with the smaller Tombow Brights 10-pack. 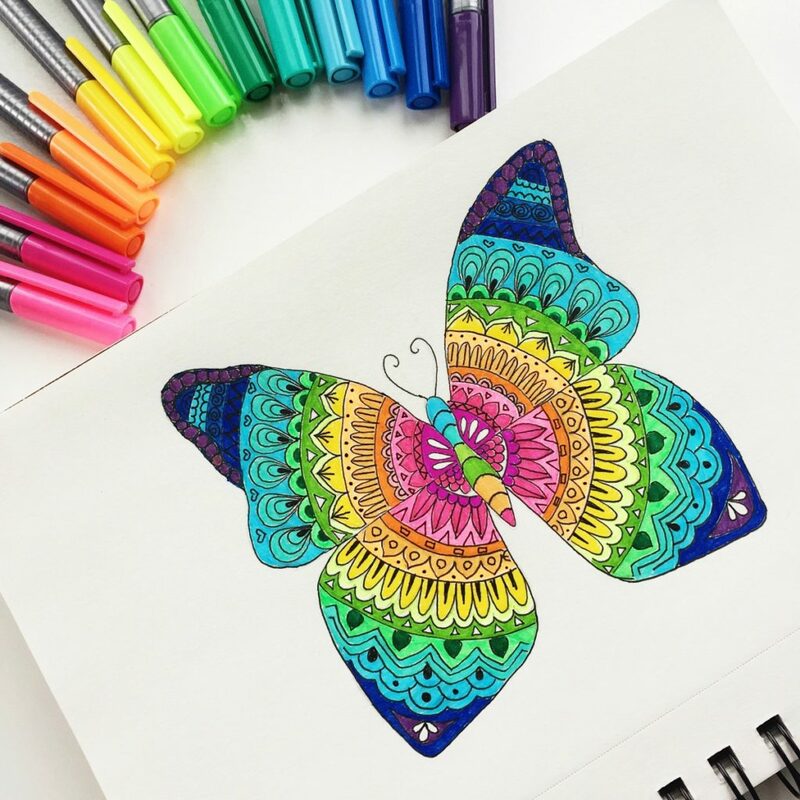 The Staedtler Triplus Fineliners are for extra fine lines, detailed doodles or coloring in small areas. 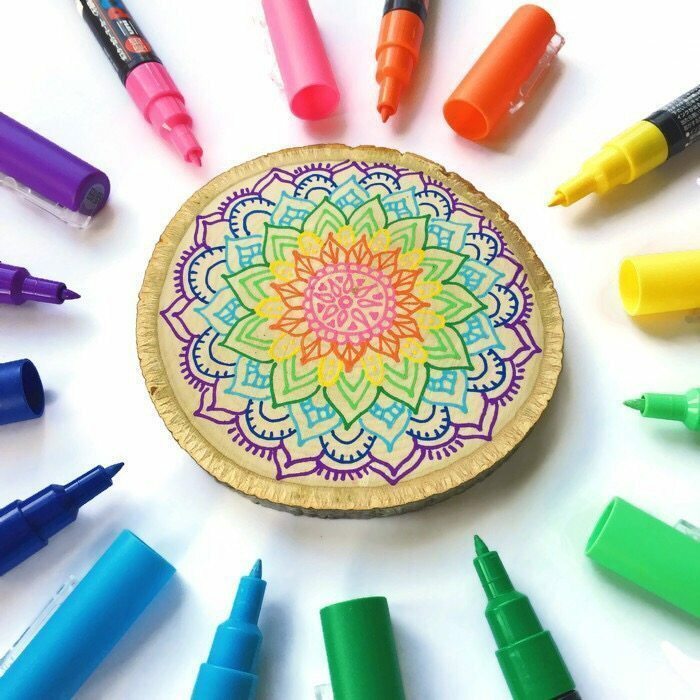 They’re perfect for mandalas. In my opinion they’re similar to the Stabilo 88 point markers. I don’t think you need both, unless you hoard markers like I do. I really love the mix of colors and the neon colors as well. 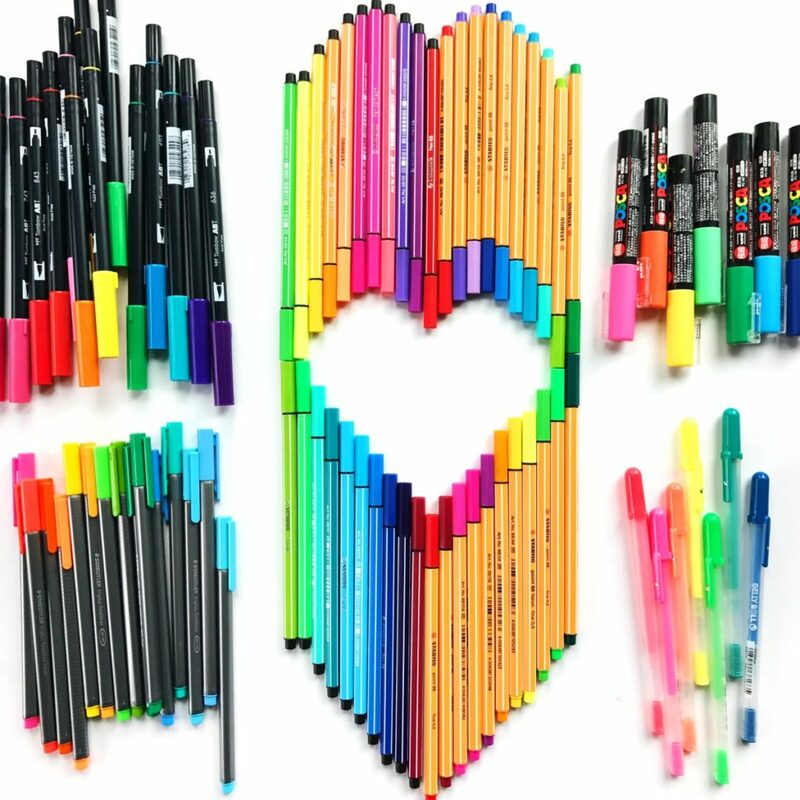 Who doesn’t love Sharpies? Even my 6-year old is a huge fan. You really can’t go wrong with Sharpies. You pretty much know exactly what you’re going to get. Bright, bold, and permanent colors! I tend to lean toward my fine point Sharpies more than the extra-fine point. 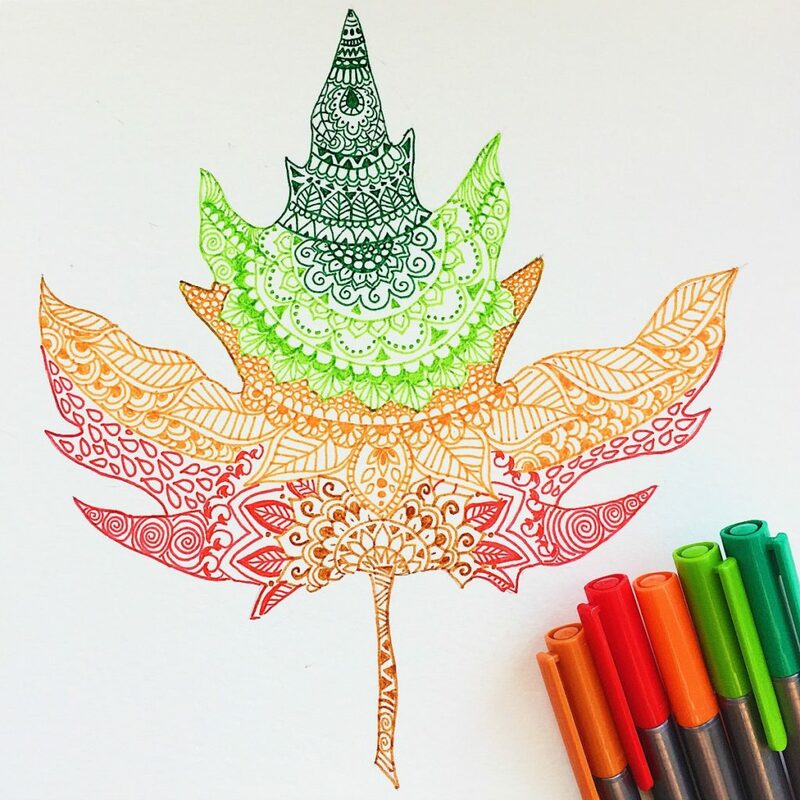 They are great for creating beautiful patterns and entangle type designs. 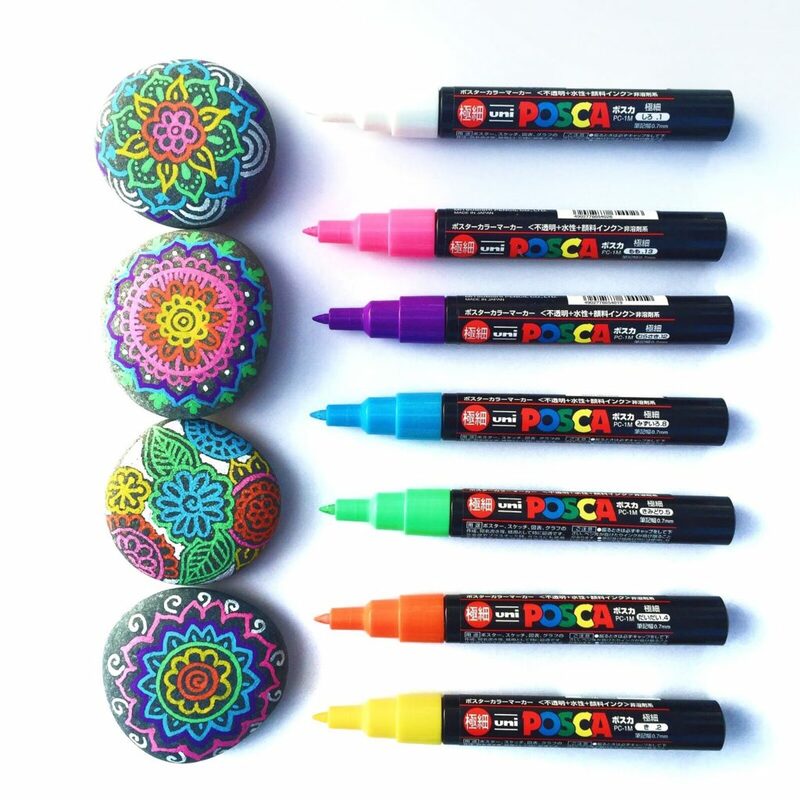 Here’s the thing with Posca Paint markers, I think I use them more often on rock and wood surfaces than paper. Not sure why, but no matter what surface you use them on you’ll love them. 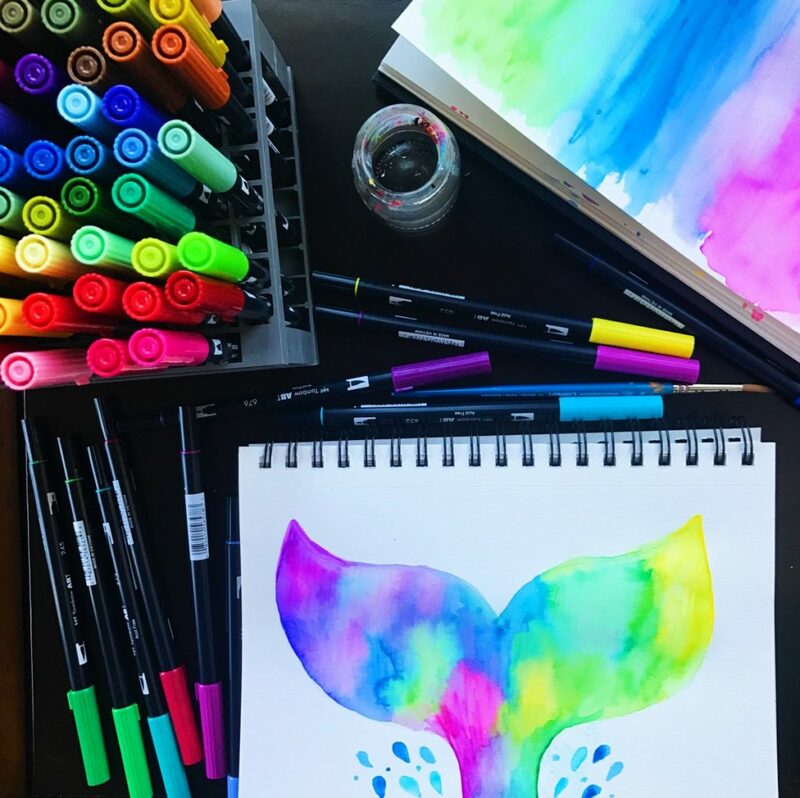 These markers should be part of everyone’s art supply collection. There are so many different ways you can use them since they work on virtually any surface. 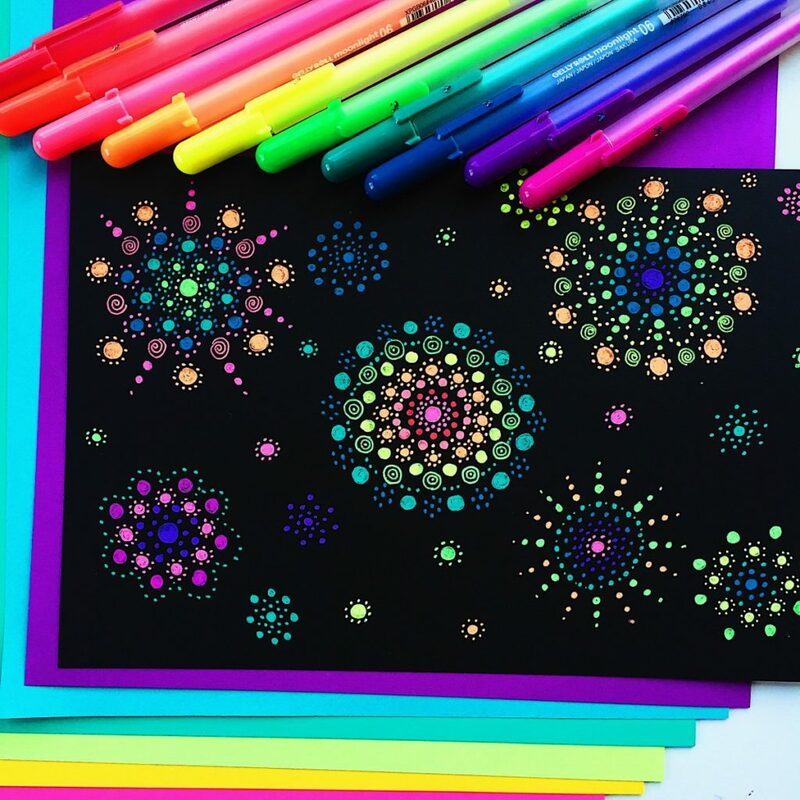 What I love most about Moonlight Gelly Roll pens is that they are fantastic on black paper! The colors jump off he page, they are so bright. These belly roll pens also work amazingly well on rocks. Their bright neon colors can’t be beat. The Uni-Signo White Gel pen is a MUST have. It’s my go-to pen for adding white to any colored surface or paper. 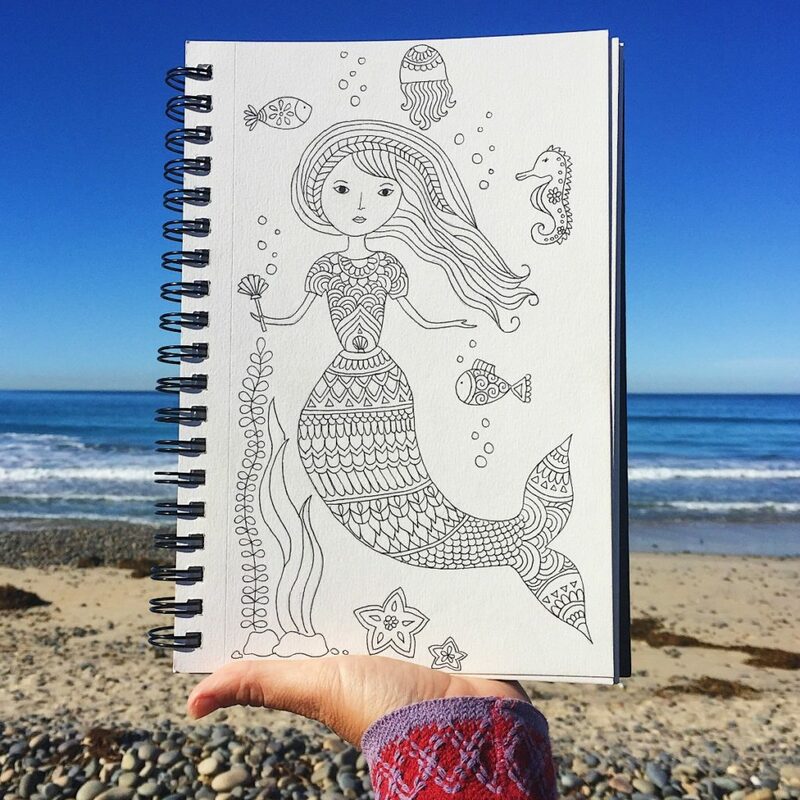 And believe me, not all white gel pens are created equal. This by far beats the competition when it comes to even flow and coverage. 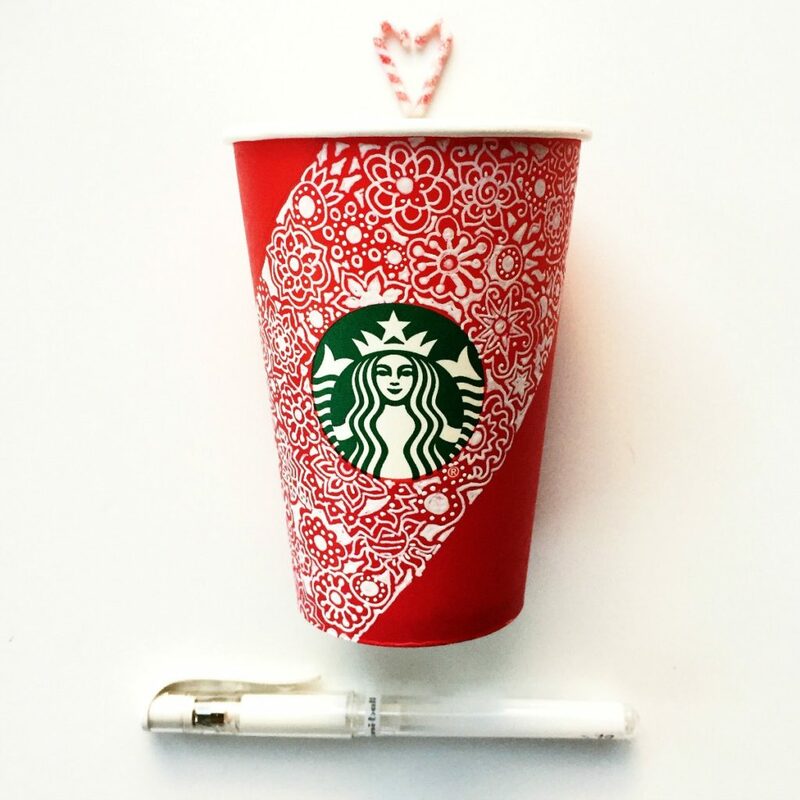 I even used this pen when I won the 2015 Starbucks Red Cup contest on Instagram. If you’re looking for amazing black outline pens, these Artist Pitt pens by Faber-Castell should be at the top of your list. I have them in every size and use them ALL the time. 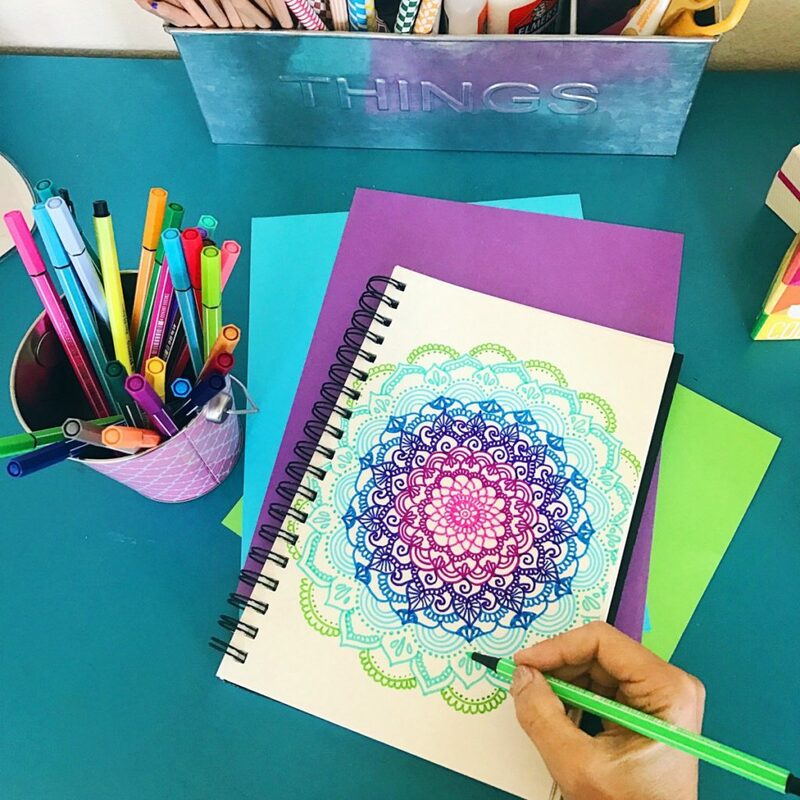 Not only are they great for drawing details and mandalas, bit they are amazing for outlining designs. Now that I gave you the lowdown on my favorite markers, you’re probably wondering about the paper I use them on. I’m really not much of a paper snob. I have more sketchbooks than I can count, but the sketchbook I use most often and have at least ten of is this Canson Mixed Media pad. I love that its pages are perforated and easy to remove. Also, it’s the perfect size for me at 9″ x 12″. I’m sure as time goes on I might have more favorites to add to the list. 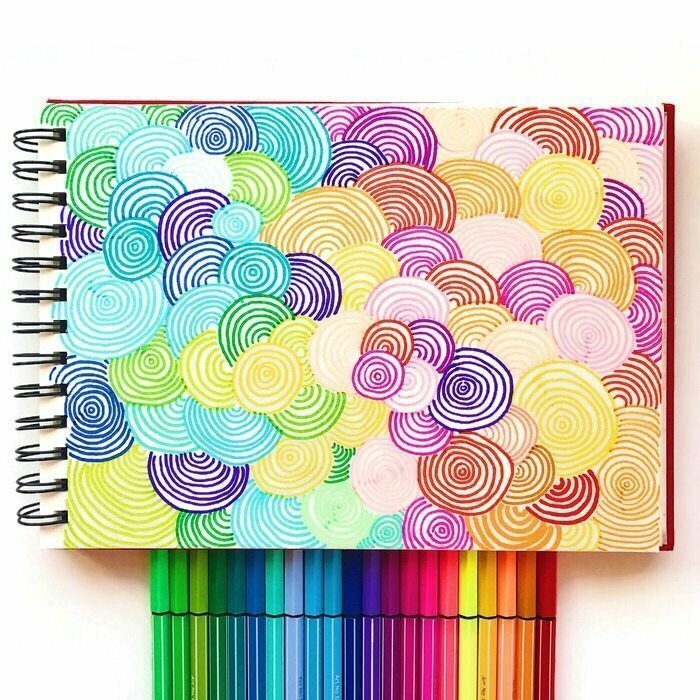 In the meantime check out my latest doodles and art supply showcase on my Instagram page @colormadehappy. This is awesome! I love learning all about your favorite drawing tools! Such great info! Where do you purchase these pins at?? Hi Brenda – I actually put a direct link to them in the post :). 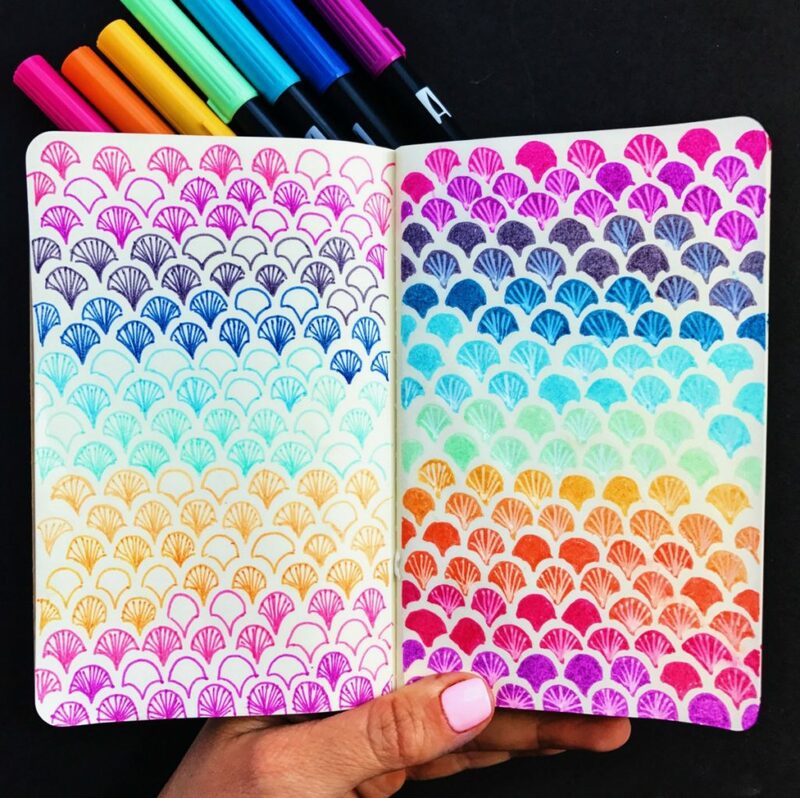 If you outline a design with the Faber Castell pens, can you color it in with the Tombows without the tombow picking up the color from the outline? I adore my tombows but I’ve been having trouble with bleed. I haven’t had much luck with Tombows on my rocks. It seems like the rock is just too absorbent.